is up and running. Go there and enjoy the same information that we have been giving you about the market in and around Birmingham Alabama and the tips on how to buy or sell your home. Some improvements there will be in your ability to search for homes, see how much your home is worth, navigate the site, and contact us. Our focus is on giving you the best information possible so that you can make the best decision possible. Here is how the month of June looked for Birmingham Alabama Real Estate. As we have always stated that as a homeowner, potential resident, potential seller, or as a real estate consultant, we think it is always important to know the stats about what is happening with Hoover AL Real Estate. For this report we wanted to focus in on Bluff Park Real Estate in Hoover, Alabama. 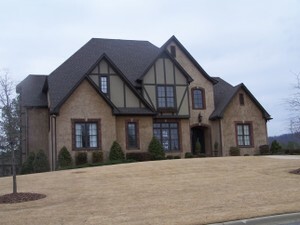 For June there were 13 Sold homes in Bluff Park AL Real Estate in Hoover, Alabama. The Average Price was $214,553. The Median Price was $206,000 with 54 Average Days on Market, at 95% of list price. Currently there are 42 Active Bluff Park Homes for Sale with an Average Price of $256,071. The Median Price is $239,900 with 76 Average Days on Market. If you would like to be contacted as soon as Bluff Park homes for sale become available just let us know, or to get up to date market information go to www.BluffParkHomeprices.com To view our Bluff Park Real Estate and Community Tour go to the Bluff Park Real Estate and Community Tour. *Note these Birmingham Alabama Real Estate stats are accurate as of 8/1 according to the Birmingham MLS. They are subject to change as agents submit listed and sold properties into the MLS. Here is how the month of June looked for real estate Birmingham Al. As we have always stated that as a homeowner, potential resident, potential seller, or as a real estate consultant, we think it is always important to know the stats about what is happening with Hoover AL Real Estate. For this report we wanted to focus in on Green Valley Real Estate in Hoover, Alabama. For June there were 3 Newly Listed Green Valley Homes for Sale. The Average Price was $264,600 and The Median Price was $264,900. For June there were 4 Sold homes in Green Valley AL Real Estate in Hoover, Alabama. The Average Price was $273,250. The Median Price was $290,000 with 57 Average Days on Market, at 95% of list price. Currently there are 30 Active Green Valley Homes for Sale with an Average Price of $294,310. The Median Price is $289,900 with 111 Average Days on Market. If you would like to be contacted as soon as Green Valley homes for sale become available just let us know, or to get up to date market information go to www.GreenValleyHousePrices.com To view our Green Valley Real Estate and Community Tour go to the Green Valley Real Estate and Community Tour. Here is what the month of June looked like for Birmingham Alabama Real Estate. As we have always stated that as a homeowner, potential resident, potential seller, or as a real estate consultant, we think it is always important to know the stats about what is happening with Hoover AL Real Estate. For this report we wanted to focus in on Trace Crossings Real Estate in Hoover, Alabama. For the June there were 9 Newly Listed Trace Crossings Homes for Sale. The Average Price was $417,367. The Median Price was $399,900. 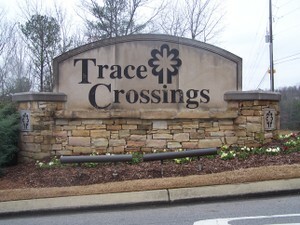 For the June there were 9 Sold homes in Trace Crossings AL Real Estate in Hoover, Alabama. The Average Price was $407,420. The Median Price was $385000, with 82 Average Days on Market, at 98% of list price. Currently there are 69 Active Trace Crossings Homes for Sale with an Average Price of $461,441. The Median Price is $449000 with 75 Average Days on Market. If you would like to be contacted as soon as Trace Crossings homes for sale become available just let us know, or to get up to date market information go to www.TraceCrossingsHomePrices.com. To view our Trace Crossings Real Estate and Community Tour go to the Trace Crossings Real Estate and Community Tour. *Note these Birmingham Alabama Real Estate stats are accurate as of 8/01 according to the Birmingham MLS. They are subject to change as agents submit listed and sold properties into the MLS.